Our pet of the month for February is Bettie. Last January Bettie presented to us with a 5 day history of lethargy and pickiness with food. She saw vet Ruth Guegan who took some blood tests which revealed Bettie was in acute kidney failure. Bettie was put onto IV fluids & Ruth performed an ultrasound scan of her kidneys. This scan revealed that Bettie had some small stones in the renal pelvis of her right kidney and 2 stones in her bladder. The likelihood was that Bettie had a blockage in her ureter which is the tube leading from her kidney to her bladder. Unfortunately Bettie’s left kidney was also not functioning well enough to enable Bettie to flush toxins out of her body. After 2 days of IV fluids and close monitoring Bettie’s kidney values hadn’t improved and another scan revealed that her kidney was swelling in size. This confirmed our suspicions that her ureter was blocked. At this stage, a decision had to be made. 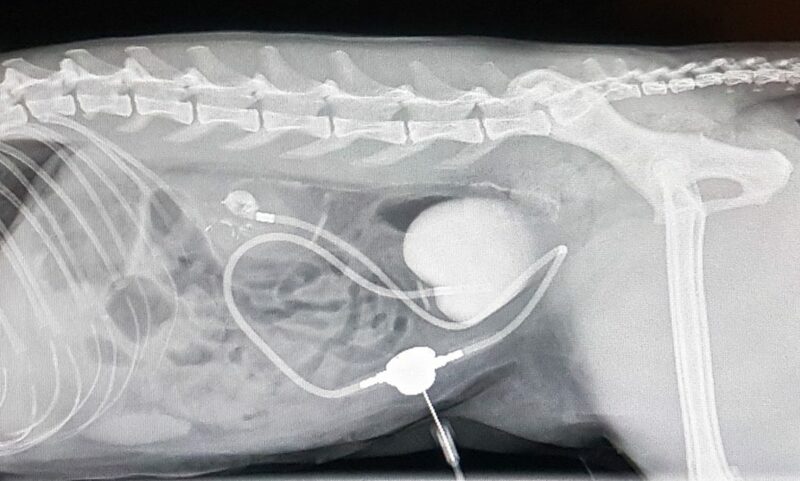 The only way to save Bettie’s life was to place a bypass system from her kidney to her bladder. This is a procedure which is normally performed at a referral hospital with fluoroscopy and a procedure we had never performed at New Era. With how poorly Bettie was, the decision was made to do the surgery at New Era. Vet Peter Haworth performed the surgery 3 days after Bettie was first presented to us. The surgery went really well and after a few days her kidney values were back down to a good enough level to get her home. We now monitor Bettie every 3-4mths to check her kidney function is good. She also has regular urine checks as she is at a higher risk of infection. 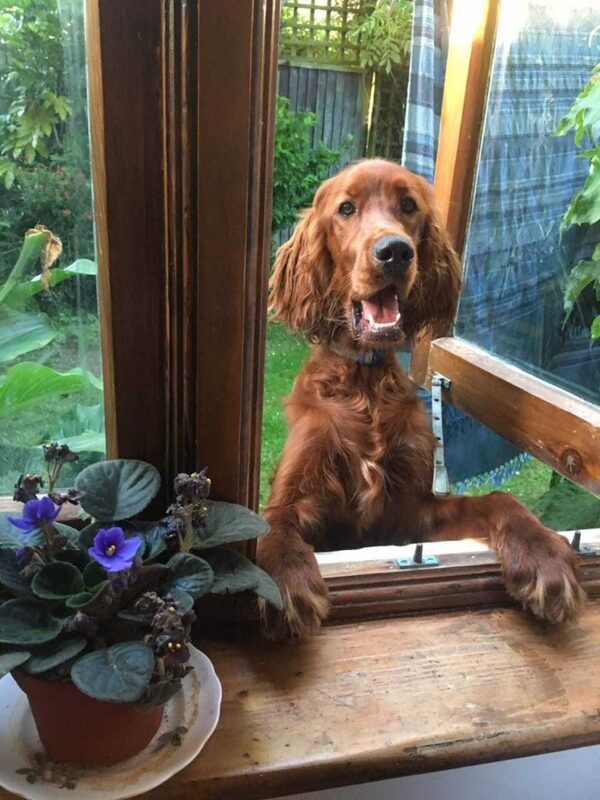 Our ‘Pet of the month’ for January is a beautiful red setter named Uncle. Despite having the world’s longest ears, Uncle got away from his owner and was hit in the chest by a fast-moving car. He was rushed to New Era Veterinary Hospital where Vets Ben Benander & Iona Charlton proceeded with emergency treatment. When he arrived, his gums were pale and his breathing laboured. Some quick tests showed that his lungs had punctured and collapsed, and that there was internal bleeding in his chest. The emergency vets gave him oxygen, fluids, pain relief and re-inflated his lungs by draining the air & blood so he could breathe again. Unfortunately, the tear to his lung was so bad that we had to place an indwelling chest tube so the air could be evacuated every hour by our amazing team of Veterinary nurses, Olivia & Night Nurse Donna along with many of our nurses and student nurses. While Uncles lung was healing, we continued with intensive nursing care. Luckily, Uncle’s strong spirit and good care meant that after four days he was able to breathe on his own & have his chest tube removed. After some close monitoring post tube removal we were happy for him to go home for rest and recuperation. Uncle was such a star patient throughout all of his treatment and made our job easy. Coal is a 12 month old Patterdale Terrier who first came in to see us at the end of June this year when he was starting to struggle using his legs. Initially we ran all the routine tests for certain parasitic diseases that can cause issues and he had thorough neurological examinations and radiographs (x-rays). All of these came back normal – which ruled out a lot of things but didn’t give us a diagnosis. In such a young dog we felt that the likely diagnosis was polyradiculoneuritis. This is a bizarre condition which affects the nerves of young dogs. Although it is not treatable, the usual course of the disease is that the dog gradually deteriorates, then the condition plateaus and then gradually reverses by itself. 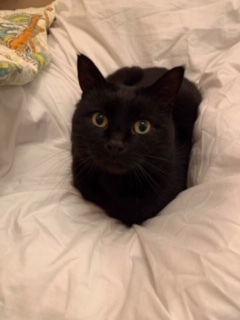 Over the next few weeks poor little Coal became totally paralysed. Each day he was progressively worse until a point where he couldn’t move at all. It was very sad for all staff and owners to see such a young dog so terribly poorly. He needed constant nursing care as although he still had his appetite, he was not able to eat by himself and of course couldn’t get up to go to the toilet either. Because he couldn’t sit up there was a chance that, without careful supervision, he could inhale and choke on his food instead of swallowing it. We needed to make sure that he didn’t develop any secondary problems associated with lying in the same position for a long time, such as skin sores or problems with his lungs. The greatest risk was that the disease can progress to affect the muscles which support his breathing. As long as this didn’t happen, however, his prognosis was still good. We knew that while Coal was unable to move by himself he would lose all his muscle. 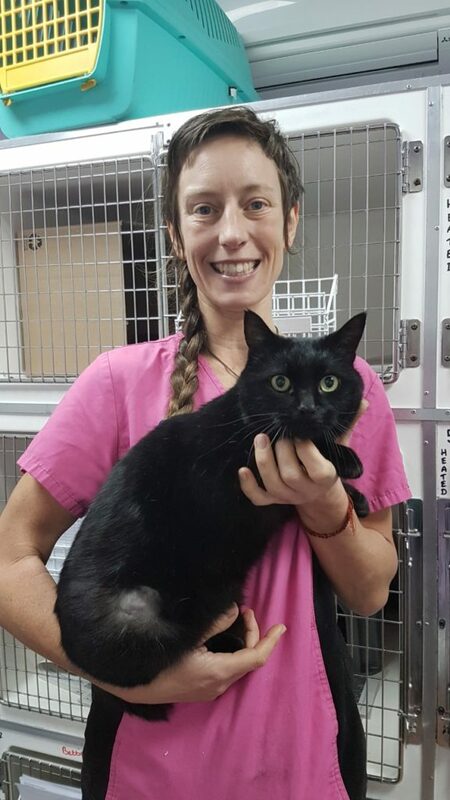 Our qualified in-house Physiotherapist, Sarah, worked really hard with Coal to keep his muscles working. This meant that when, after nearly 4 weeks, he began to turn a corner, he could start to move. Once he got going, he came on by leaps and bounds – almost literally. Within a further 2 weeks, he was well enough to go home. Look at him go!